The room is spacious with modern décor, furniture and custom fabrics. It has floor to ceiling glass windows with views. Rooms are open plan with a seating area and feature a flat-screen TV. Located in the hotel's main tower, these spacious suites feature a state-of-the-art Home Theatre system. 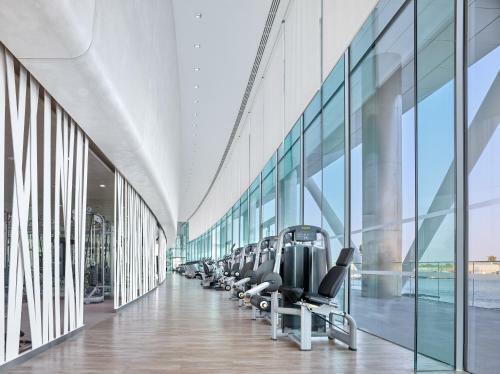 They also include: * 2 42-inch flat-screen TVs and speakers in the bathroom; * Views of the island and Yas Marina Circuit racetrack; * Curtain remote controls. This spacious room features a modern décor. 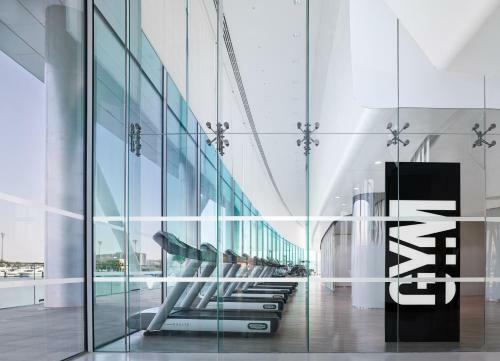 It has floor-to-ceiling glass windows with views. There is an open-plan seating area with a flat-screen TV. 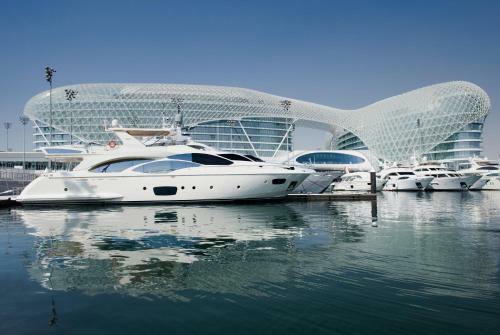 This air-conditioned suite offers a marina view, a living room with a flat-screen TV and an en-suite bathroom. This superior king room features high speed WiFi, a 42 inch LCD TV, an in room safe and tea/coffee making facilities. It includes an all-glass bathroom with a rain shower and a deep soaking tub. This superior twin room features high speed WiFi, a 42 inch LCD TV, an in room safe and tea/coffee making facilities. It includes an all-glass bathroom with a rain shower and a deep soaking tub. This double room features air conditioning. Benefits includes: - Unlimited access to either Yas Water World or Ferrari World for 1 night stays - Unlimited access to both parks (one park per day) for guests staying two nights or more.